Unlike any other film program you’ll find, our Cinematography Intensive is a 10-week, customizable curriculum, that exposes you to fundamental film theory, top-tier industry equipment, and the tools and knowledge to prepare you to start working in the field, or get to the next level in your career. You’ll learn hands-on with equipment from ARRI, Panavision, RED, Blackmagic, Panasonic, and more. You’ll make valuable professional connections, and gain meaningful and extensive experience in every aspect of cinematography, the camera, and visual storytelling. Offered once in the Summer and again in the Fall. Faculty include Mo Flam ("The English Patient", "Black Swan", "Spotlight") Steven Fierberg ("Entourage", "The Affair"), Zach Zamboni (3-time Emmy winner for "Anthony Bourdain: Parts Unknown") and many more! Not previously offered in recent years, Maine Media has developed a brand new, dynamic, 10 Week Intensive for aspiring Directors. To realize their vision, a director must intimately understand not only the key creative and practical dynamics of their job – but also the roles of their closest collaborators during the development, production, and post-production process of a film. This extraordinary intensive offers a package of classes to equip the complete director, and provide them with the skills and perspective of their closest creative collaborators (Actors, Cinematographer, Producers, and Editors). Each workshop is led by an accomplished working professional who will provide a uniquely qualified real world perspective on the realities of the craft, the art and business of filmmaking, and the dynamics of working in collaboration with one another. Notable past MMW+C students include Oscar winning directors Alejandro González Iñárritu ("Birdman", "The Revenant", "Babel"), Michelle MacLaren (Game of Thrones, Breaking Bad, X-Files) and Laura Poitras ("Citizenfour"). A foundational, hands-on course covering all aspects of the art and craft of film and video production. Each student will gain first-hand experience working in a variety of roles such as writer, producer, director, assistant director, DoP/camera operator, camera assistant, gaffer, script supervisor, sound recordist, and editor. They will each create their own short piece and support their fellow students on-set, while rotating between the major roles of a film crew. They will leave with the skills, knowledge and portfolio pieces to help them move forward in their careers. Beginning March 2019! Not previously offered in recent years, Maine Media has developed a Brand New 4 Week Intensive for students aspiring to work in the film industry as editors, sound designers and more! This intensive takes you deep into the aesthetics, tools, and workflow of editing and post-production. You’ll explore "The Art of Editing", "Audio Post Production", "Creative Sound Design for Film & TV", and finish the cycle with a master’s perspective in a "Film Editing Master Class". There is also the opportunity to expand this intensive to eight weeks and gain a strong proficiency in the crucial industry standard software by adding the 4 courses in "Digital Workflow", "Adobe Premiere", "Adobe After Effects", and "DaVinci Resolve" that immediately precede this four week track. An intensive six-week introductory course in all facets of film and video production. ~12 hours per week of on-campus work will off-set students' costs for room and board, making this our most affordable Multi-Week film program! 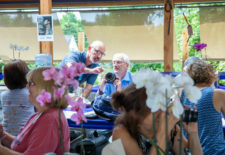 Following classroom lectures on filmmaking theory, and an exercised-based boot-camp in each of the primary roles of a film crew - Director, Cinematographer, A.D., Sound Recordist, etc.., students will spend the final weeks writing, developing, shooting, and editing their personal short narrative or documentary film. 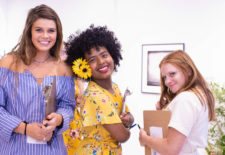 They will also support their fellow students on-set while rotating positions for each project, and get a taste for each of the various key roles of a film crew. They will leave the program with the skills, knowledge and portfolio pieces to help them move forward in their careers. 4 weeks of immersion into the craft and process of creating documentary film. This course provides an opportunity for students to research, produce, shoot and edit an original documentary film under the guidance and instruction of a professional filmmaker. This workshop is hands-on and practical, and students learn by facing the challenges and obstacles inherent in any film production. The workshop also includes an All-Access pass to the Camden International Film Festival! 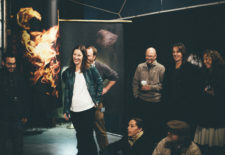 Specifically tailored to provide filmmakers with the skills that are in high demand in the modern film industry, the Certificate in Collaborative Filmmaking (CCF) is an experiential, year-long, 3 term program designed to provide the next generation of creative professionals with an alternative entry into the film industry. In the initial spring term students will gain a foundational understanding of storytelling, technical concepts and film history & theory. In the summer they will work with their advisor to choose ten electives from our exciting selection of world-renowned workshops taught by top industry professionals. In the final, fall term, students will independently produce their final thesis film, taking on their preferred role (Director, Cinematographer, etc..) culminating in a closed screening open for friends, family and mentors. Students will leave the program with the knowledge, skills, and body of work to effectively launch themselves into the industry. Terms must be taken in sequence, and a student may have up to three years to complete all three terms.